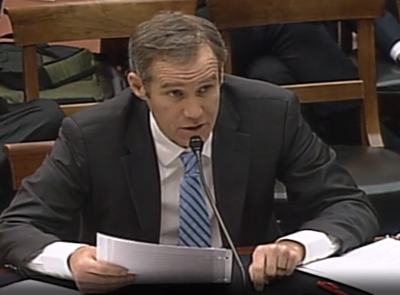 On March 24, 2015, Bryan Pate, CEO of NorthStar Law Group client, ElliptiGO, testified before Congress concerning pending legislation aimed at reforming certain aspects of U.S. patent law. One of only four witnesses who testified before a House Judiciary Subcommittee, Mr. Pate stated that he supports efforts to end abusive patent litigation practices routinely utilized by “Patent Trolls” – patent holding companies that assert questionable patents against small businesses in the hopes of extracting quick settlements due to the high cost of litigation. However, Mr. Pate noted that the bill pending before the House will likely have unintended consequences against legitimate patent holders such as ElliptiGO and, in the end, do more harm than good. Mr. Pate’s concerns about the pending legislation are shared by a coalition of companies in a variety of industries, as well as universities, inventors and venture capitalists. Pate’s concerns are further echoed by statements made by NorthStar Law Group Partner, Jonathan Muenkel, in two articles published in the San Diego Business Journal (on September 29, 2014 and November 3, 2014 – see below), and that focused more specifically on the U.S. Supreme Court’s recent activities in effectively weakening U.S. patent rights to arguably curb abusive Patent Troll practices. The bill at issue is known as the “Innovation Act” (H.R. 9), and was introduced in the House of Representatives on February 5, 2015. A similar bill, H.R. 3309, was passed in the House on December 5, 2013, but did not survive that Congressional session due to differences between the House and Senate on multiple provisions within the bill. A link to video of the Congressional hearing and testimony can be found here.